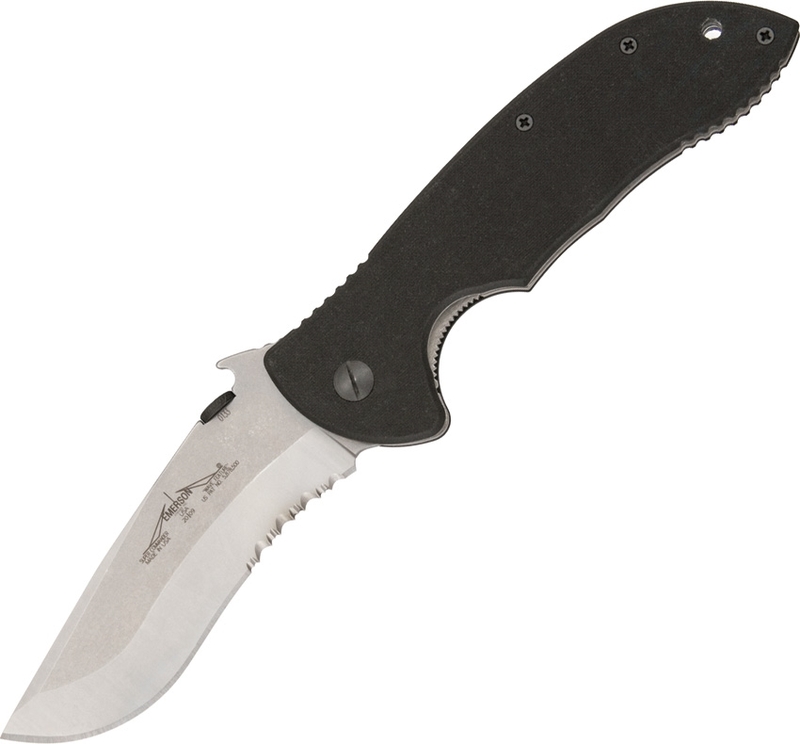 Emerson ek2201 super commander knife. 5 5/8" closed linerlock. Satin finish 154CM stainless partially serrated blade with radial thumb lug and wave feature. Black G-10 handles. Lanyard hole. Black finish stainless pocket clip.